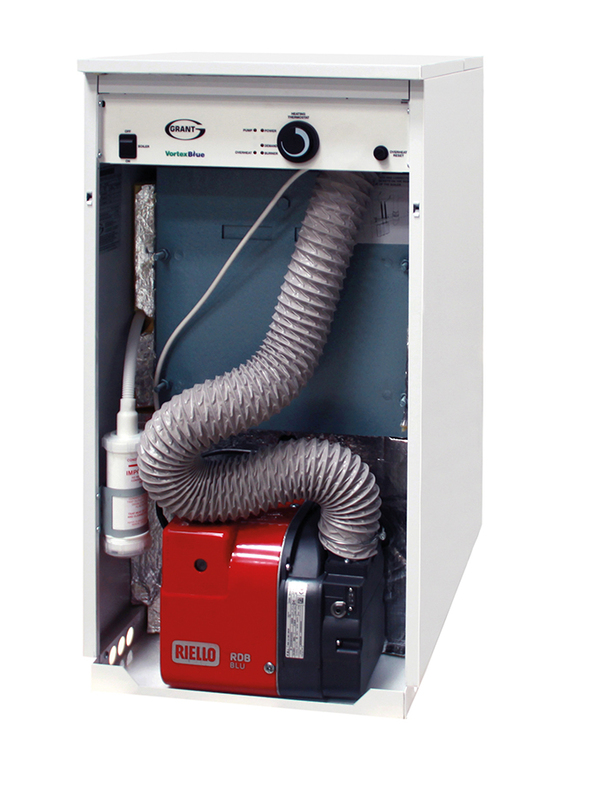 This new range of boilers incorporates a blue flame Riello compact burner and provides a new generation of clean burning and low emission boilers. The award-winning Grant Vortex condensing oil-fired boiler uses a Riello Blue Flame compact burner, creating a market-leading combination that give customers an easy-to-install, reliable product with all-important low emissions. As indicated by the product name, the flame produced is blue, rather than the usual yellow colour of the standard burner fitted in the current Grant Vortex range, which results in a much cleaner combustion process. The product’s innovative design demonstrates how modern oil-fired burner technologies can deliver and sustain cleaner, reliable heating, with a high efficiency rating which will meet EU emission requirements in future years. Grant has invested heavily in the research and development of the Vortex Blue Max to ensure the product range is economical and environmentally-friendly. By incorporating the successful design features of the award-winning Grant Vortex, the manufacturer has created a sophisticated heating system that is not only compact, but offers customers cost and carbon savings. Due to its suitability for social housing, the compact nature of the product and its appeal to a mass market, the Vortex Blue Max will benefit a range of property sizes. 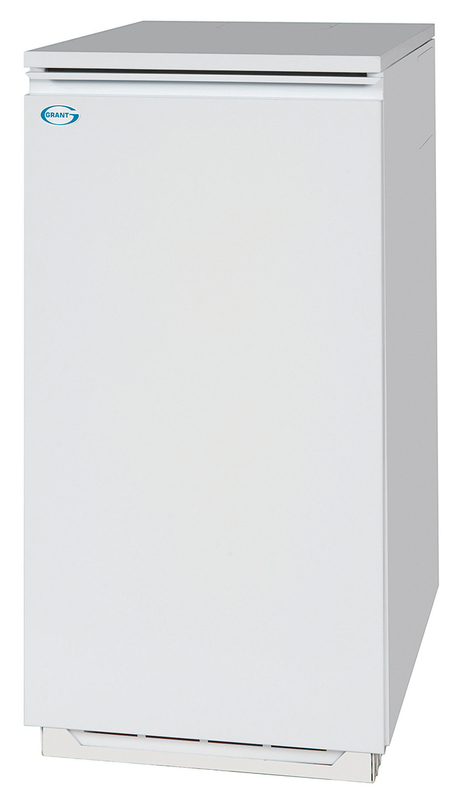 The cutting edge Vortex Blue Max range consists of 15 models with heating outputs ranging from 21kW up to 36kW. Available in internal, external and combi models, the boilers are compatible with all Grant EZ-Fit flues. Sealed System models of the Vortex Blue Max are also available which include a factory-fitted expansion vessel, filling loop, pressure gauge, automatic air vent, pressure relief valve and high efficiency circulating pump enabling the boilers to be installed without the need for a feed and expansion tank in the loft. 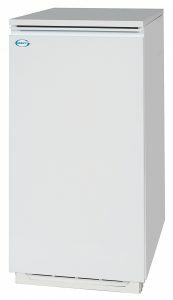 Sealed System variants of the Kitchen/Utility range are available in outputs of 21kW, 26kW and 36kW.